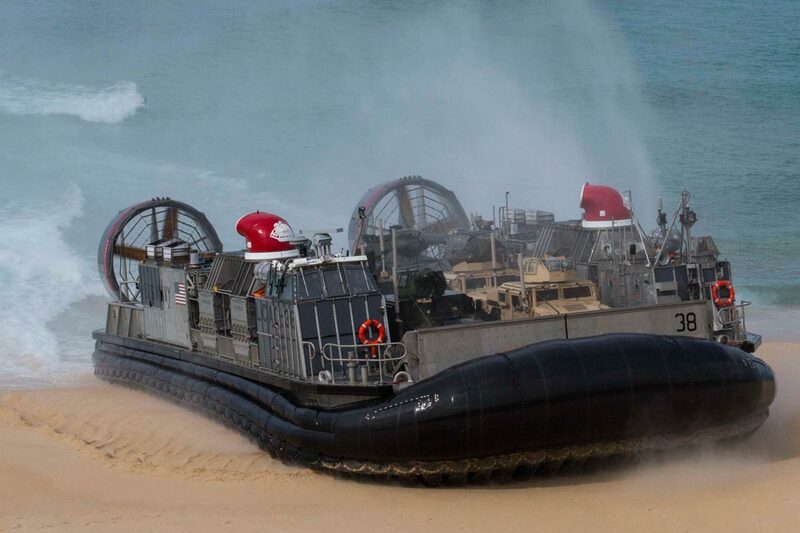 The conventional Marine Corps ship-to-shore landing craft of past decades may not be rugged or versatile enough to support the service’s invasion force in a future fight, the general nominated to be the next commandant said this week. Lt. Gen. David Berger told members of the Senate Armed Services Committee’s subcommittee on seapower Wednesday that the days of building combat power in secure areas of a theater are over. Berger’s comments came after Sen. Angus King, I-Maine, asked Berger for a status update on the Marine Corps ship-to-shore connector capabilities during a hearing to discuss ground modernization programs in the proposed fiscal 2020 budget and the Future Years Defense Program. “If we are going disperse and be able to operate in a distributed manner and sustain that force, our view of what connectors are is going to have to broaden,” Berger said. “It seems to me that we are also going to have to think of a contested environment — GPS disruption, communications disruptions. Is that part of your thinking in terms of designing these systems?” King asked. Berger said that command-and-control in a contested environment is the Marine Corps’ top priority. “We are going to have to re-look that going forward, because that was built on a premise that you would have secure, benign ports that you could drive up next to in your 38-foot draft vessel and unload as we did in Desert Shield/Desert Storm, and just keep cycling them in,” Berger said.